Baseball the name of the game right now in our house. 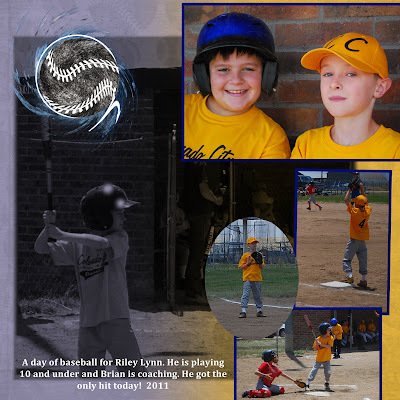 It was a full weekend of baseball and everyone is seeming to like it. Riley is playing 10 and under this year basically the kids are pitching now. It is a learning experience for everyone including coach Brian. More pictures to come on our little T-Ball players.